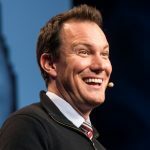 Individual happiness is possible but will only go so far, says Shawn Achor, New York Times bestselling author of “The Happiness Advantage,” speaker, and happiness researcher. To achieve true long-term happiness, we need to remember that we are, at heart, social animals. We were able to plumb the depths of happiness with Achor in a conversation just prior to his keynote. What is your upcoming book “Big Potential” about? When we started looking at very large data sets, we started realizing was it wasn’t just happiness, it was everything—intelligence, creativity, sales numbers. Those are interconnected traits. Small potential is what we can do pursuing success and happiness in isolation and in competition. Big potential is how we can achieve so much more when we pursue success with others. Some people say this is why the forces of good tend to win out—a dictator exploits the land and the people but doesn’t make anything new, whereas a society of cooperating individuals sends people to the moon. Yes, in the short term fear wins. In the long term, cooperation wins. Sometimes people think that the deepest individuals are ones who are negative, brooding, and cynical about the world. But fear and negativity are the most primitive parts of the brain. They happen without the parts of the brain that have evolved to help us to problem-solve and find happiness. It takes much deeper thinking to be able to create the positive. What’s really interesting is if you get enough people together who are being positive, that power grows exponentially. One of my favorite studies came out the University of Virginia. Researchers found that if you look at a hill and judge how steep it is before climbing it, you perceive it as 30 percent steeper than it actually is if you’re in a negative state of mind. They did a follow-up study that is even more fascinating: People judged the same hill as being 20 percent less steep when standing next to a friend. The brain perceives challenges in the world differently based upon if you think you’re in it alone or with other people. If you’ve got big challenges as a society, as an individual, or as a family, the first step is making sure you’re not alone in the journey to solve that problem. It’s interesting that we recognize dogs as pack animals, but not humans. Although, by all appearances, it seems to be true. I’ve worked with a lot of Fortune 100 companies, and some of them teach that success is zero-sum and it’s only survival of the fittest. But when we look at the data, it’s a completely different story. It’s survival of the best fit. I’m trying to help people move away from a single superstar mentality to creating star systems, where people within the system are all starting to thrive instead of feeling like they’re in competition and in isolation. The greatest predictor of happiness is social connection, by far. Social connection is as predictive of how long you’ll live as obesity, high blood pressure, and smoking. It seems that our biology works best in concert with other people. I’ve worked with celebrities who have everything externally but can’t go to a Starbucks or they’ll get mobbed. They feel isolated in their homes and their levels of happiness plummet. 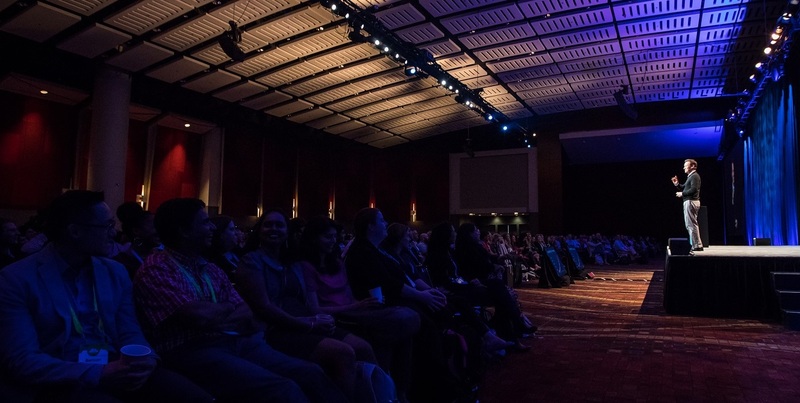 “Small potential is what happens when we’re alone, big potential is what happens when we work together,” said Shawn Achor at Workday Rising. We tend to think of happiness as an emotion, but the way you talk about it makes it sound more like a learned behavior. It does have an emotional component to it, but happiness is directional—happiness is the joy you feel moving towards your potential. Contentment is static: I’m grateful for the present, but there’s not necessarily movement toward the future. The type of happiness we’re seeking is one that has movement to it. It’s my happiness research that led to “Big Potential.” We found that if we were able to raise people’s levels of positivity, not only did it improve their outcomes, it improved their kids’ outcomes. It improved their sales team’s outcome. It improved the likelihood that people would stay at their organization. At some point, happiness needs to be kick-started by one person expressing optimism within a group, and that can touch off a virtuous cycle. If I want to be a happier person, what’s the first thing I should do? Social connection is the most positive thing but it’s not the easiest or fastest. It takes time to build relationships that have breadth, depth, and meaning. The fastest way to be a happier person is training your own brain using gratitude. 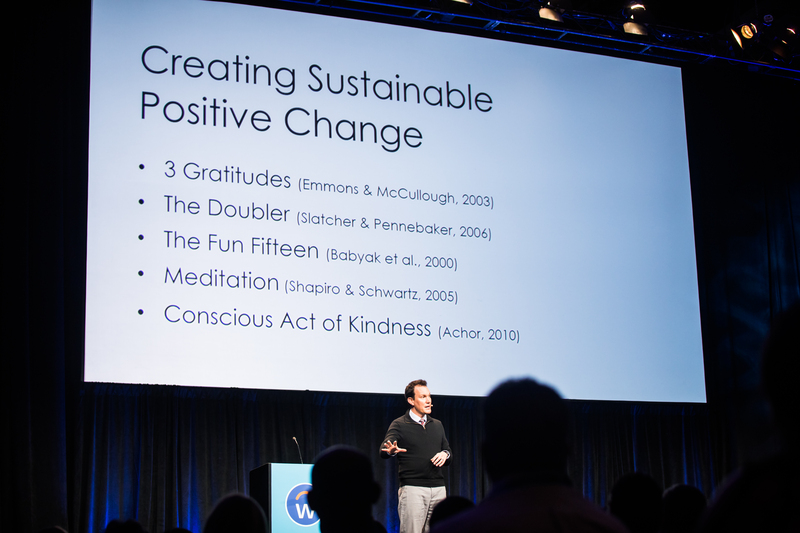 Shawn Achor explains different ways to create sustainable, positive change. You’ve noted before that the rates of depression are 10 times higher than they were in 1960. Is that because there’s less stigma to admitting you’re depressed? There’s less stigma and our screening methods have improved since the 60s, but over the past decade, the rates of depression have doubled. The child and teen suicide rate has doubled while the stigma has largely dissipated, and we’re using screening methods that haven’t changed much since the 1980s. So, something else is happening. I think the only thing that has really changed over the past decade is the ramp-up of hyper-comparison on social media and offline at our offices and schools. I don’t blame social media, but I do blame the constant comparison and hyper-competition within our schools as we’re pushing kids harder and harder. We’re seeing massive amounts of over-scheduling, more than an hour lost of sleep per teenager on average, compared to a few decades ago. This hyper-competition is leading to the idea that success and happiness are things you need to create on your own. As soon as you’re trying to do it alone, you’ve already limited yourself. This comes back to this pack idea. We’re not designed to create success and happiness in isolation. If I have a success and don’t have anyone to tell about it on my team, it doesn’t feel as good as when I get to tell somebody about it, right? I want to eliminate the anxiety caused by thinking that success is zero-sum and that we’re in this alone. I think if we can undo those misperceptions in our society, we can create a lot of positive change. If we can get people doing these positive habits, we could potentially halve the rates of depression. I went through depression myself, and positive habits are what pulled me out of it. I know these things statistically, but also in terms of my life experiences. How has researching happiness changed your life? I learned that depression is not the end of the story and that there are habits and behavioral patterns that matter. That your behavior matters is a big statement because that’s what we forget a lot of times. When we think about happiness we equate it with genes or environment. But, when you start to realize that if you change your habits, depression rates drop dramatically, and it returns some of the power, and at the same time some of the onus, back to the individual. That’s why I do what I do now. I realized at one point when I got out of my depression using some of these habits I talk about, that there’s something I want to do with my life. I want to find a way to make as many people happy, long term, as I possibly can. That’s my goal.